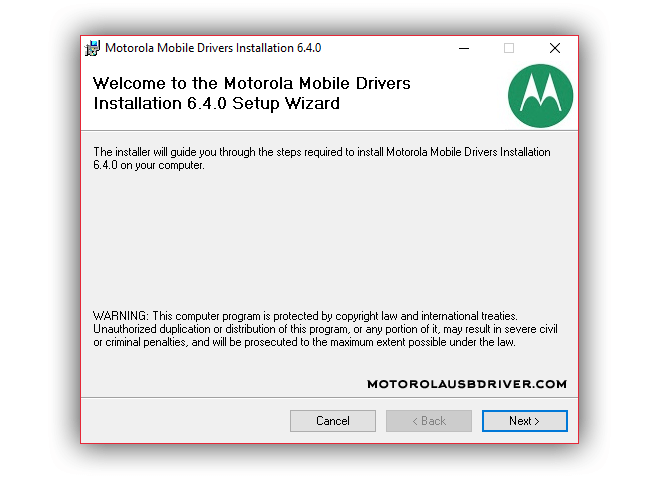 [*] How to Install: If you want to learn how to install Motorola USB Driver on your Windows Computer then see How to install Motorola USB Driver. [*] Download Latest Motorola USB Driver: If you are looking for the latest Motorola USB Driver then head over to our Download Section. [*] Always Scan First: We have officially scanned the Motorola_Mobile_Drivers_v6.4.0.zip File before sharing it here. You can see the Scan Data of Motorola_Mobile_Drivers_v6.4.0.zip on VirusTotal.